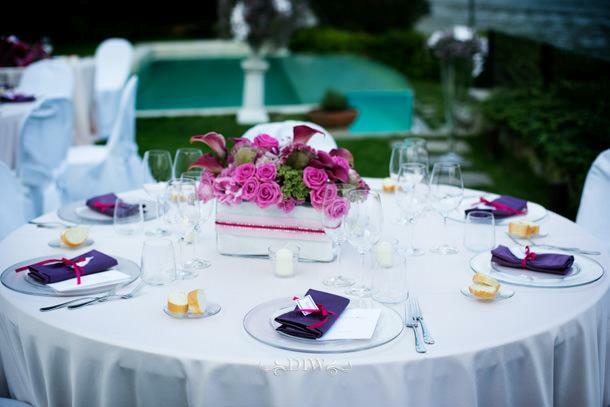 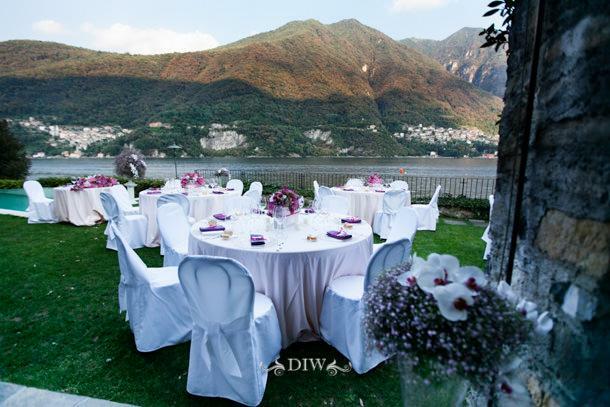 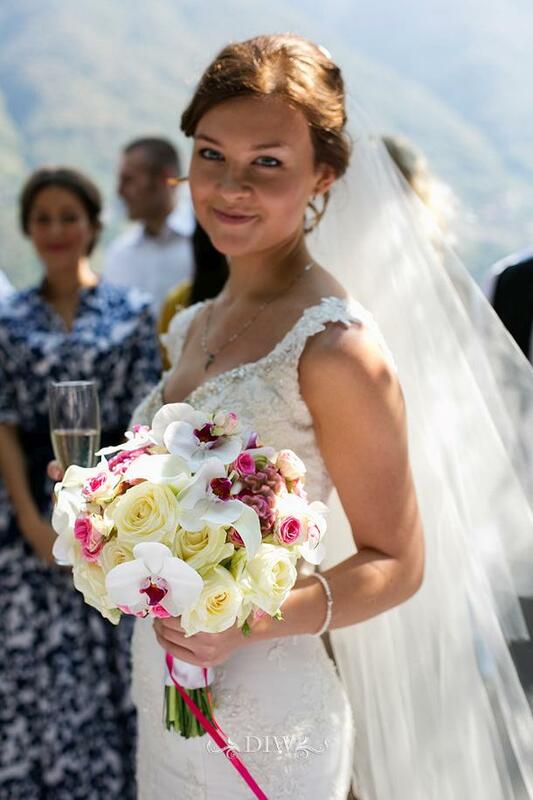 A beautiful Russian couple who chose Lake Como for their special day! 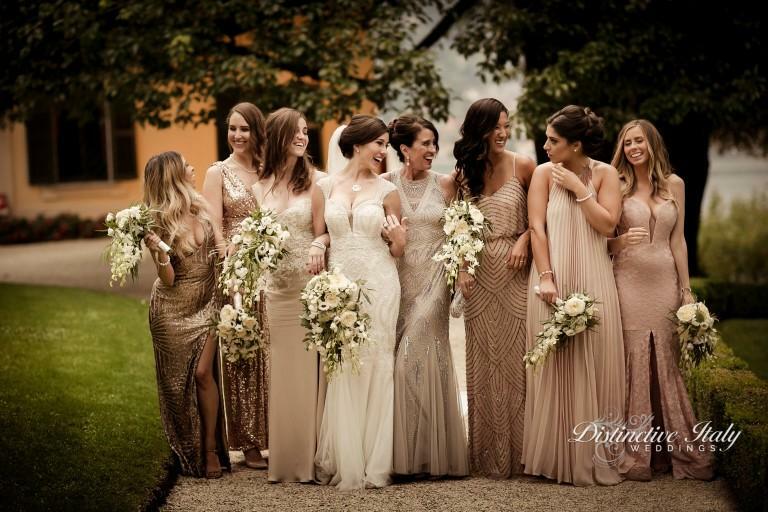 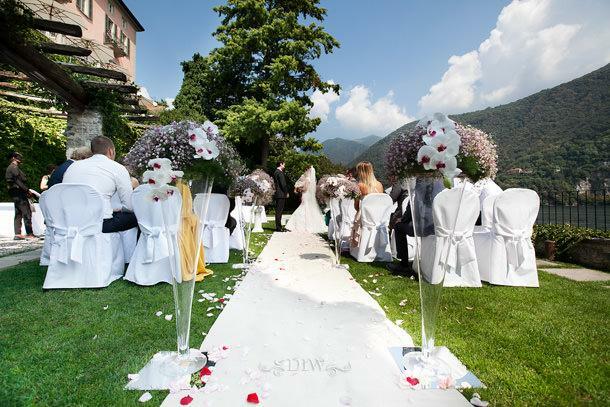 Their marriage took place in the picturesque garden on the lake of Villa Vittoria in Laglio. 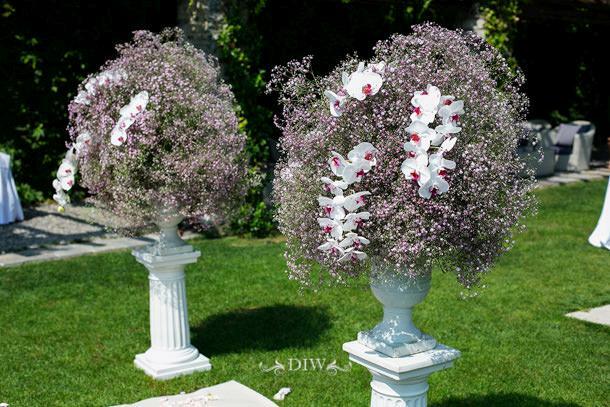 For the occasion, we have prepared for the ceremony of the compositions of the column with gypsophila rose and phalenopsis orchids. 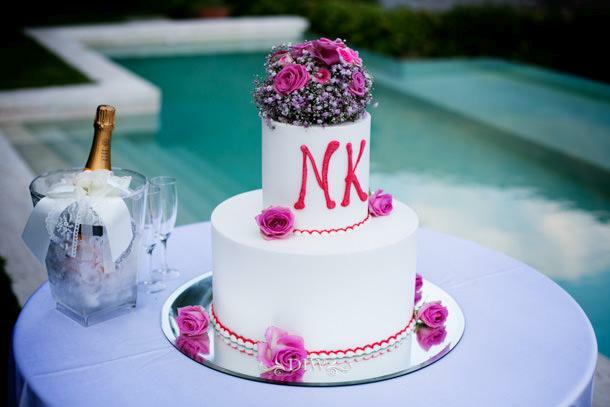 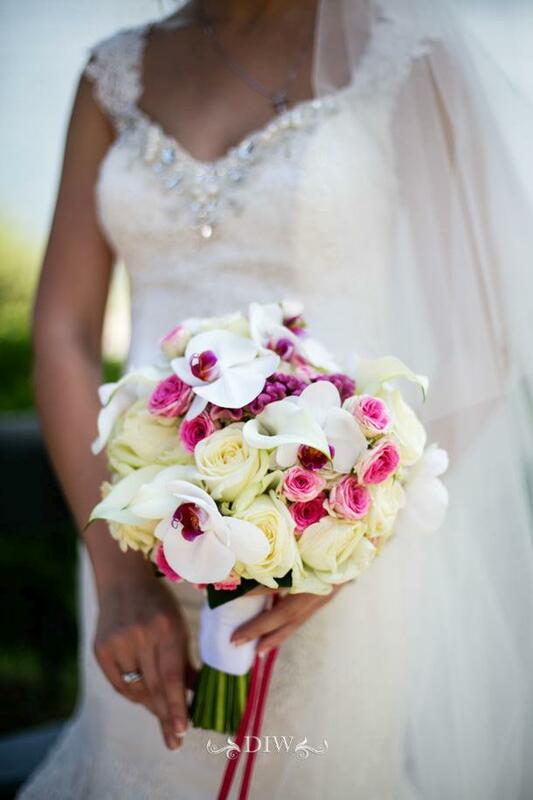 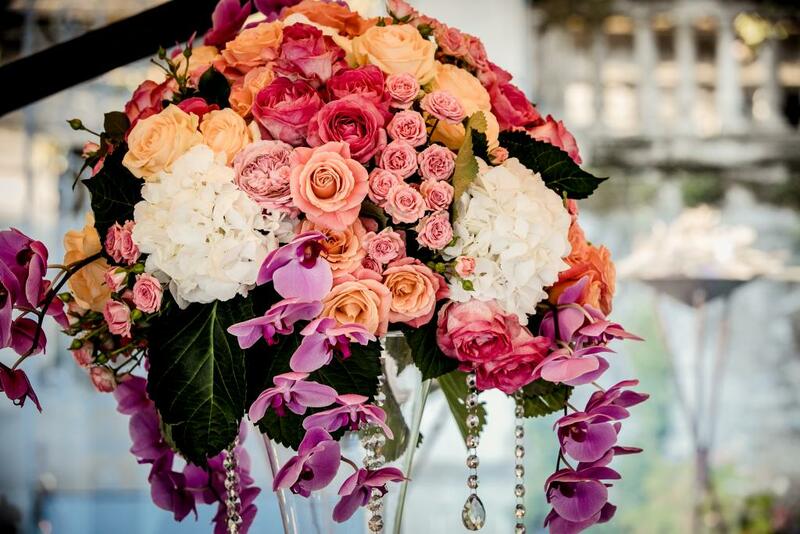 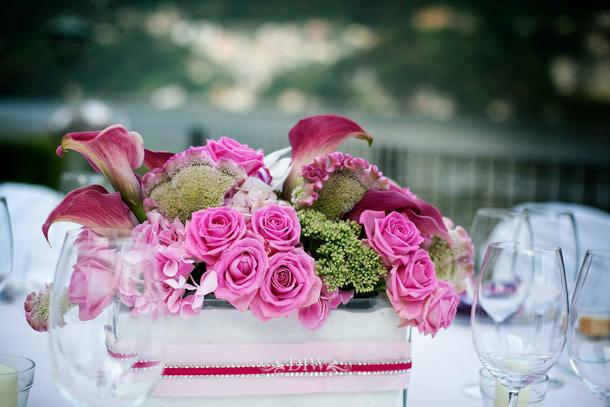 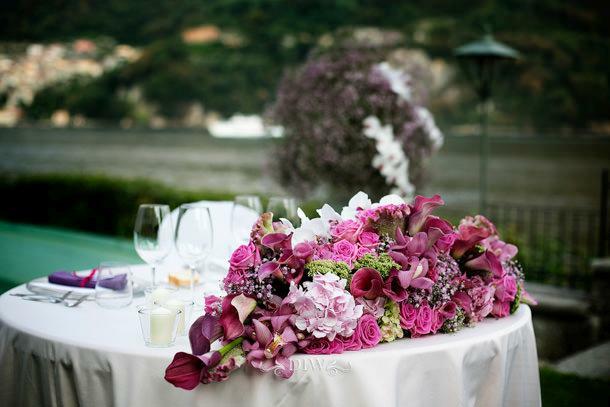 A mix of classic and modern with flowers in pink, bright fuchsia embellished by the omnipresent orchids. 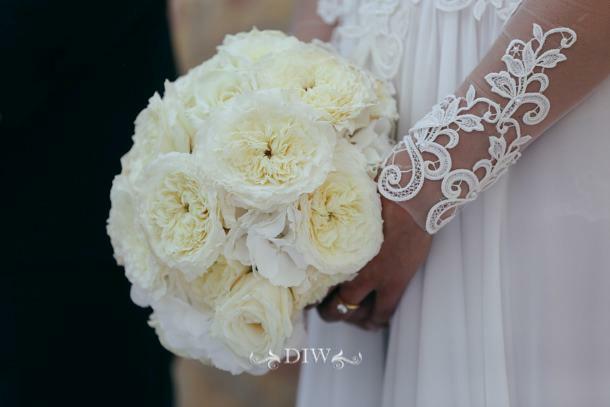 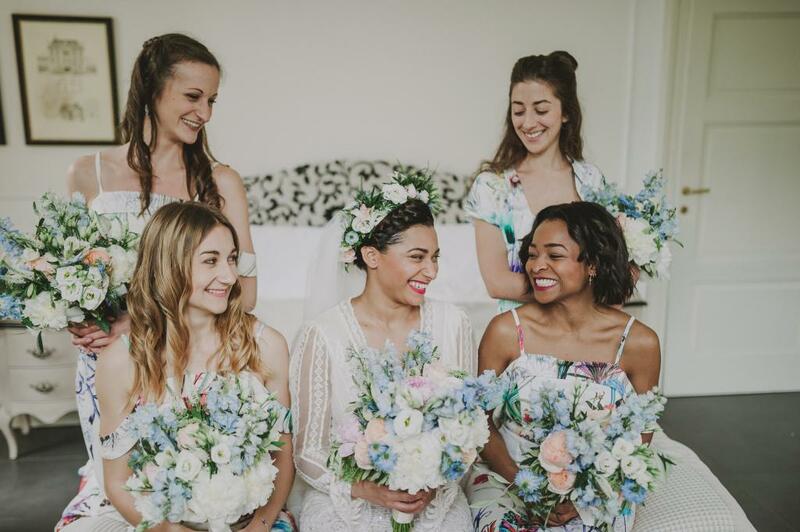 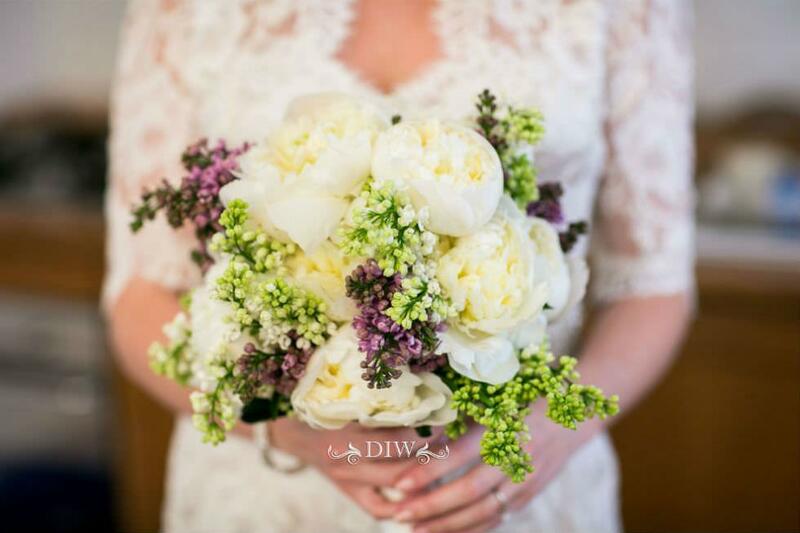 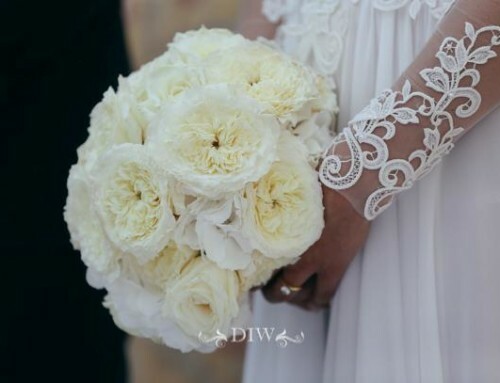 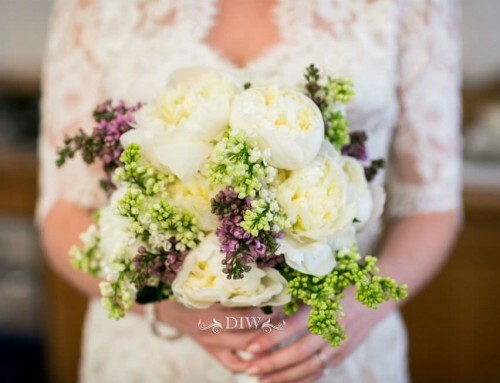 Kristina wore a small and elegant bouquet. 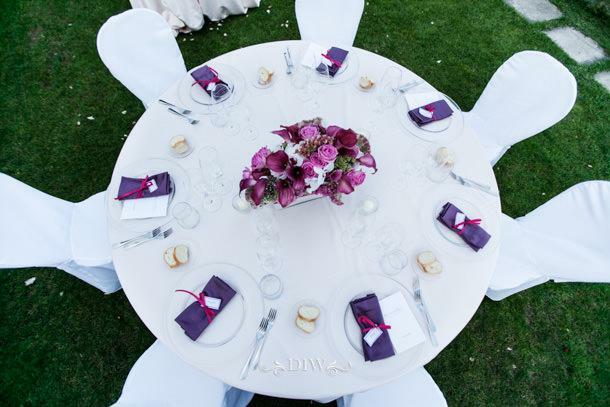 For their tables we studied unusual centerpieces of rectangular glass vases, while the newlyweds table was lavishly decorated by a generous elongated composition.